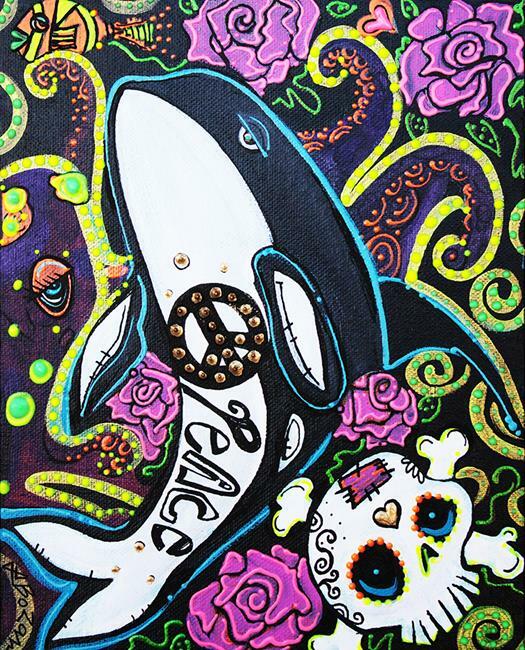 The Peace Whale represents marine life and what I wish for our oceans. Peace for all the creatures in the sea, free from over fishing and destruction of habitats. I hope the peace whale can help people realize that peace is an essential component to life on earth!